Building a trailer yourself can cost you less money than buying one at retail price. One of the most important aspects of building a trailer is the axle. You have a great axle to handle the weight of the load your trailer will have to carry. 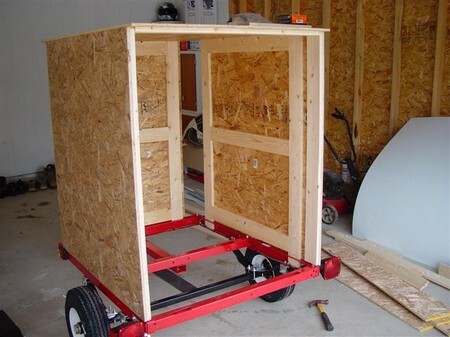 Building a trailer doesn’t have to be a complicated project. It takes a little planning and some execution. You also need to pay attention to your calculations. Here is how you can build a trailer yourself. Cut your main frame pieces to size and weld them. Use a saw for this step. Flatten the materials and shape them appropriately. The axle needs to be positioned depending on what kind of trailer you need. If it is a tilting trailer, the axle has to be positioned in such a way that it is towards the gravity center. Calculate the tongue weight. Use five percent of the trailer’s weight as the tongue weight. Center the axle with the frame. This is critical to building your trailer. This ensures the tracking will be straight. Make the distance the wheels between the wheels equal. Square your axle on the frame. These things are all contingent upon the axle being centered. Mount the tongue to the cross bar in front of the axle. There is a solid round bar at the end and a square tube. This is the tongue. Find the pivot action. It is the two mounting tabs with half inch holes with the round bar. This is for the pivot action that is needed for the trailer. Attach a latch to the trailer to stop it from tilting. Small rods should be used as fenders. Use low heat and weld them into a system. Reinforce the fenders with angle iron. You can use this as a mounting point for many things. The railings positioned on the side can be made of angle iron. Strengthen the entire hold of the system, attach fenders on the side. Make the vertical pieces out of two pieces of angle iron you’ve welded together. You will have to do this if you want to add a gate. This has to be strong to endure the loads you have to transport. Make sure you have a ground connection with a pivot. The tail lights will be dimmed by this. Make sure the surface is free of rust. There are resources to help you find the best way to remove rust online. This trailer costs less to build than any trailer that you can purchase at retail price.